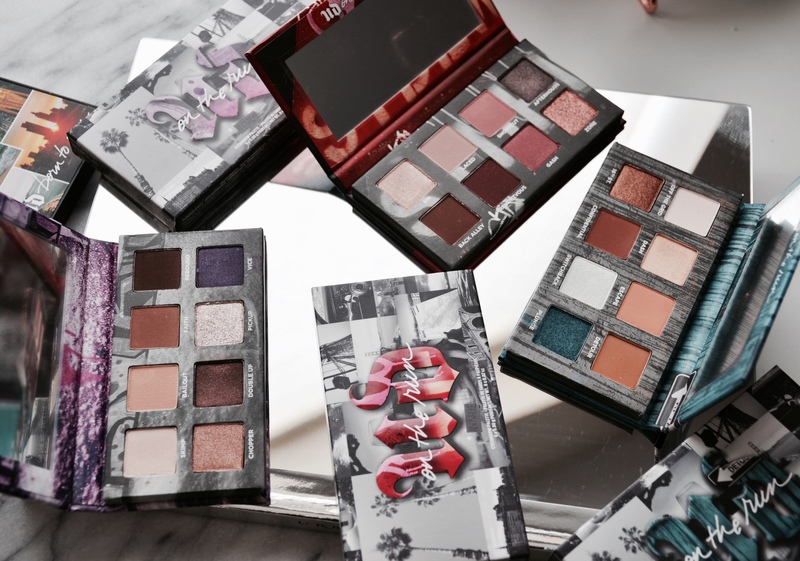 The Urban Decay On The Run Mini Eyeshadow Palettes were inspired by the Born To Run Palette but they are super compact and great for travel. A great option for someone who doesn’t like taking a full sized palette every time they travel. 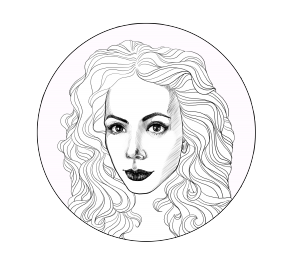 When it comes to Urban Decay eyeshadows, I hardly get a miss. Their formula is always easy to work with but also has great pigmentation. 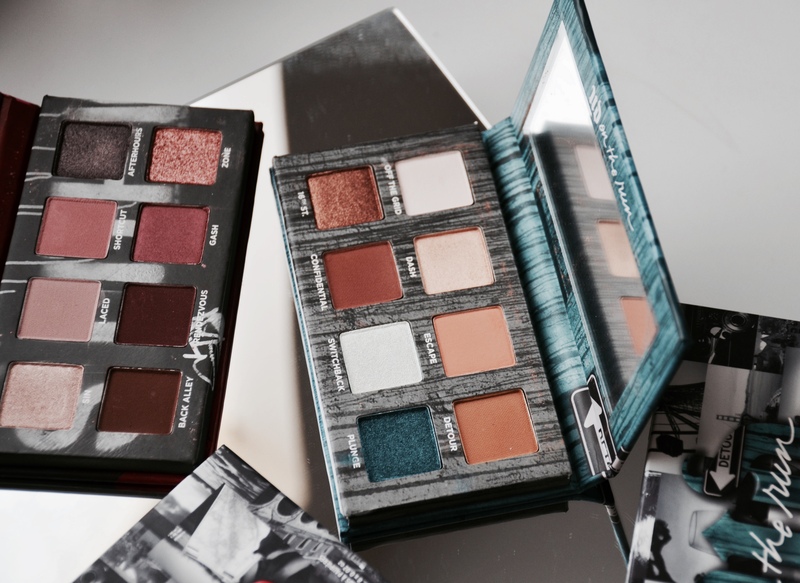 The On The Run Mini Eyeshadow Palettes are no exception. As you can see by the swatches, all three palettes are very pigmented and swatch evenly on the hand. The matte shades are buildable and blend easily on the eyes. As for the shimmers, Urban Decay shimmers are always very pigmented and don’t have a lot of fallout. I like to use some of the shimmers wet to intensify the metallic look. 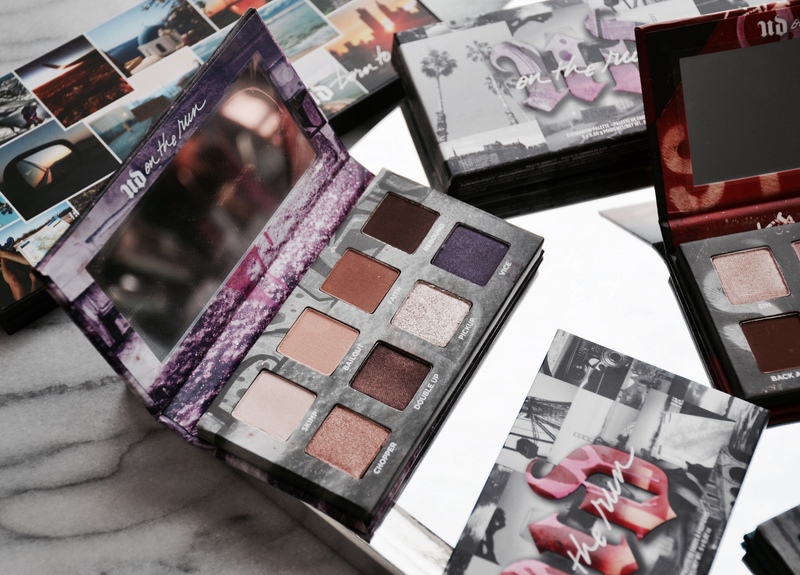 Bottom line, another great hit from Urban Decay when it comes to eyeshadow palettes. The On the Run Mini Eyeshadow Palettes are perfect for travel or for someone who is just starting with makeup. 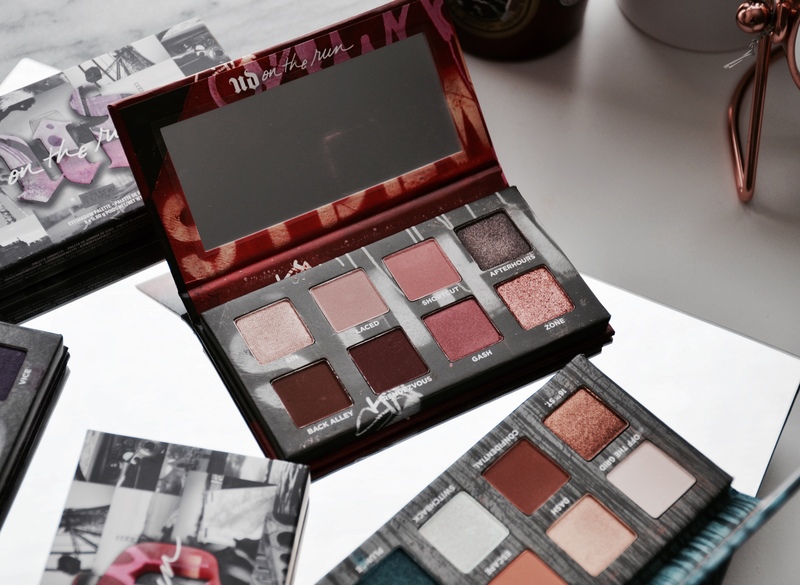 I think all three palettes come with very wearable shades that are perfect for creating every day looks but also some more intense smoky eyes. 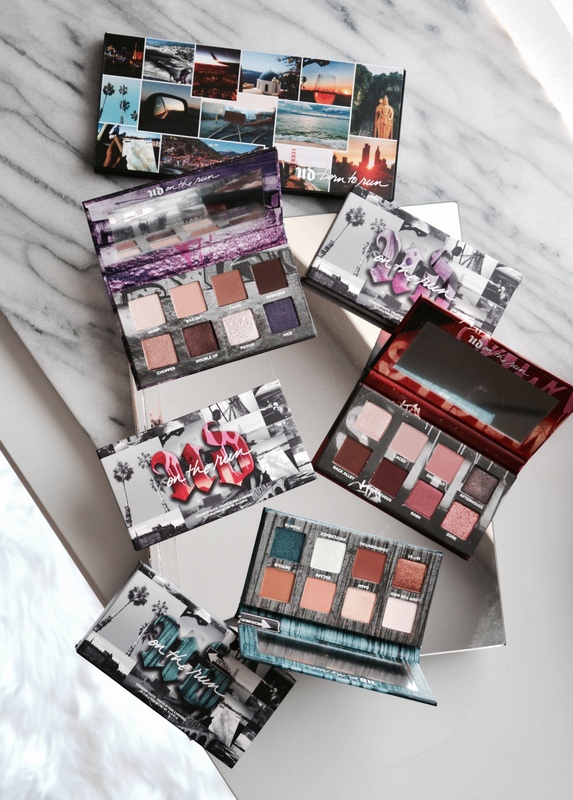 The Urban Decay On The Run Eyeshadow Palettes are available online at Sephora and Urbandecay.com and they are priced at $25 each.